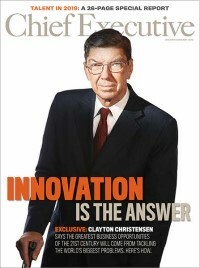 The “innovator’s dilemma”, the concept pioneered by Harvard Business School’s Clayton Christensen, is the difficult choice an established company faces when it has to choose between holding onto an existing market by doing the same thing a bit better, or capturing new markets by embracing new technologies and adopting new business models. IBM dealt with this dilemma by launching a new business unit to make PCs, while continuing to make mainframe computers. Netflix took a more radical move, switching away from its old business model (sending out rental DVDs by post) to a new one (streaming on-demand video to its customers). Incumbents are often complacent, slow to recognize the threat that their less-established competitors pose. But as successive refinements improve the product or platform to the point that they start to steal customers, such upstarts often end up reshaping entire industries: classified ads (Craigslist), long distance calls (Skype), record stores (iTunes), research libraries (Google), local stores (eBay), taxis (Uber) and newspapers (Twitter). Because most disruptive products frequently occur at the lower end, examples overwhelmingly favor business-to-consumer companies. Cases in the world of B2B are thin on the ground, particularly with mid-market companies. Traditional industries in B2B markets can be notoriously conservative and reluctant to try new things, making the job of breaking into established markets by companies with breakthrough technology harder than it would in consumer markets. A classic example is CUI Global, a mid-market Oregon technology firm. The company took a technology first developed but ignored by a former unit of British Gas, and developed GasPT2, a measurement device that more accurately measures gas quality than existing gas chromatography systems. Gas pipeline companies in the U.S. are big and slow to change, and because the quality of gas they distribute tends to be more uniform, many didn’t see the benefit of the new product. They were happy using the 30-year-old technology despite its high cost, because as was true in the 1960s with computers, no one would get fired for using IBM. So CUI Global went to Europe and inked a deal valued at $55 million with SNAM Rete, Italy’s largest gas utility. The Italian gas company faced a challenge in that the quality of the gas it piped to customers varied widely. Low quality gas from Russia, for example, warranted a low price point, while higher-quality gas from Libya commanded a high price. But since existing systems like chromatography don’t measure quality in real-time, especially when gas from different sources are piped together, utility regulators wouldn’t permit SNAM Rete to charge its customers any more than the lower rates. The GasPT2 device demonstrated the utility’s claims, proving it was piping higher BTU value gas, allowing regulators to permit them to charge higher prices. According to Wall Street analysts, CUI Global’s device addresses a $1 billion-plus market, and its CEO Bill Clough is now in discussions with the largest utility in France. Nonetheless, it took Clough and his team almost nine years to bring his disruptive technology to market acceptance, thereby offering a cautionary tale to CEOs operating in essentially closed or conservative markets. His advice to others is simple. After all that, if you prepare for surprises, budget for more than you think you’ll need, think outside the box and commit to the long-term, you might just succeed.